Cutting the Fuse: The Explosion of Global Suicide Terrorism and How to Stop It, is Pape's latest project touting his thesis that religion is not a prime factor in suicide bombings. Rather, it is a response to occupation, he argues. That's appealing to CAIR, which court records show was part of a Hamas-support network in the United States. Prosecutors say CAIR, which touts itself as the nation's leading Muslim civil rights organization, never withdrew from the conspiracy to support Hamas politically and financially. And the FBI cut off communication with CAIR in 2008, saying it won't resume until "we can resolve whether there continues to be a connection between CAIR or its executives and HAMAS." Emails reviewed by the Investigative Project on Terrorism show Pape reached out to CAIR this past summer, hoping to have the Hamas-front group buy 1,000 advanced copies of his new book. 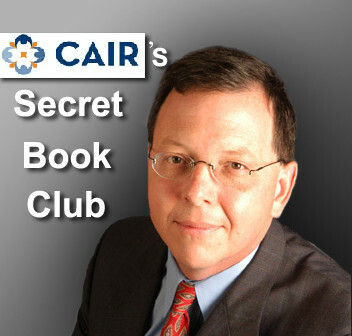 Pape asserted in his emails and other communications to CAIR that the book would advance and reinforce CAIR's ideological views that it is the occupation of Arab lands that causes suicide bombings. CAIR's officials responded with enthusiasm to Pape's thesis and to his proposal for bulk purchases to artificially boost his rankings into the best seller lists. "Pre-orders are especially helpful," Pape wrote on his University of Chicago email account, "because they allow the press to increase the advertising for the book when it is published, and so help to build momentum for the message in the book -- that ending Western occupation of Muslim countries is the best path for reducing the spread of suicide terrorism." "This groundbreaking new book offers a powerful educational tool to be used in challenging Islamophobia that is based on the false linkage between Islam and suicide terrorism." It is common in publishing for an author to try generating sales, said Daniel Pipes, director of the Middle East Forum. But "there's an underhanded quality to this transaction," because it involves an academic pushing a questionable theory with a group trying to deny the existence of Islamist violence. And Pipes added that this agreement is especially scandalous since it involves a professor at a leading university secretly collaborating with a Hamas front group. Nidal Malik Hasan's shooting rampage at Fort Hood provides a clear example of the problems with Pape's thesis. In the aftermath of the massacre that killed 13 people and wounded 30 others, CAIR issued a statement saying no religion could justify it. Officials later tried to blame mental illness for the attack. Subsequent investigation made it clear Hasan had been in email communication with Imam Anwar al-Awlaki, whom Hasan may have met when Awlaki was a spiritual leader at the Dar al-Hijrah mosque in Virginia. Today, Awlaki is considered a leading Al Qaida recruiter who relies on Quranic messages to attract followers. Pape would argue that Hasan acted to stop U.S. troops from going to Afghanistan, furthering the occupation theory. But, Pipes notes, Hasan saw the American forces as Crusaders going to kill Muslims, so his entire perspective was colored by his religious identity. In hailing him as a hero, Awlaki called Hasan "a man of conscience who could not bear living the contradiction of being a Muslim and serving in an army that is fighting against his own people." Pape's theory "changes the subject, denying the realities and is helpful to the Islamists because they can say it has nothing to do with us," Pipes said. Hussam Ayloush, CAIR's Los Angeles executive director, threw in a reference during a Washington Post online chat in August. "As for the issue of violent suicide attackers," he wrote, "I suggest reading the book 'Dying to Win' by Professor Robert Pape. Very enlightening." In August 2006, Nihad Awad cited Pape's research during a C-SPAN appearance, saying Pape found it "has more to do with occupations and fighting injustice than religion. And he pointed out that most of these suicide bombings have been done at the hands of the Tamil Tiger in Sri Lanka than by Muslims. I have not fully read that book, but whatever I have read from it I found very interesting and it really responds to the myth and the known notion now that has been used by several commentators and some politicians.."
In May, CAIR-Michigan Executive Director Dawud Walid cited Pape's work in a Detroit Free Press column arguing terrorist attacks, including the failed Times Square bombing, were not connected to religion. "Prof. Robert Pape, who leads the Chicago Project on Security and Terrorism, states that there is little connection between terrorism and extremist interpretations of Islam or any world religion; oppression, a sense of marginalization and occupation are the primary causes for international terrorism." Pape even is cited in CAIR's defense against charges it has not condemned suicide bombings, with the organization quoting his belief that "suicide terrorism is mainly a response to foreign occupation and not Islamic fundamentalism." Though he did not plan a suicide attack, Shahzad seemed to demolish Walid's reference when he was sentenced to life in prison Tuesday. Among his comments in court was a warning to "brace yourself, the war with Muslims has just begun" and "The Quran gives us the right to defend ourselves." The only reader review of Cutting the Fuse on Amazon.com Monday came from CAIR-San Diego spokesman Edgar Hopida, who calls the book's recommendations something "that all politicians and terrorist analysts should consider." "This argument plays into the hands of isolationists who believe that the best way to achieve security is to withdraw militarily and politically into would-be fortresses, and indeed the afterword contains a call for 'offshore engagement.' This argument relates to the weakness inherent in the national self determination argument. Given that one third of the campaigns in the data set pertains to Islamic groups operating against Israel on Israeli territory, and therefore, national self determination for one set of parties to the conflict would likely result in national destruction for the other party, this casts doubts on the utility of this argument." In a 2005 debate, Martin Kramer noted that Palestinian suicide bombings started in the 1990s, nearly 30 years after the Six Day War placed Israel in control of the West Bank and Gaza. Kramer, a senior fellow at Harvard University's National Security Studies Program, argued Pape's theory "is just not elastic enough to accommodate" the multiple motivations and causes that prompt a suicide attacker. "[T]he attacks brought about a reoccupation of much of the West Bank, the legitimation of Israel's security fence, and the loss of international sympathy, traditionally a core element of Palestinian national strategy. It substituted for these tangible assets a crowd-pleasing spectacle of death in Israel's cities, which other groups were quick to copy to preserve their market share." "Such people/groups operate through a religious prism - a political ideology that they see as religious and which dictates their worldview as well as their actions," she said. "Therefore, in this sense, Islamism - which they see as "true" Islam - serves as their main ideological force." Thank you for this excellent piece of journalism! It clearly illustrates the rhetorical battle being waged in U.S. media regarding Islamic extremism. Your work is necessary and appreciated. Perverted interpetations of Islam are without a doubt the trigger to many if not most suicide terror attacks today and over the past 25 years.Anyone who suggest differently is either dense or deceptive.